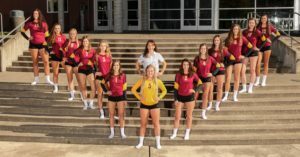 Elise Meath was quick to point out all the adversities facing the Capital High School volleyball team at the start of the season. The team dealt with its fair share of injuries and were required to move players around in an attempt to find the right combination on the court. Meath, a senior and the floor general for the Cougars, said the obstacles would only bring her team closer together and make them better in the long run. Two months later and she now has a giant, shiny trophy as physical evidence of just how right she was. 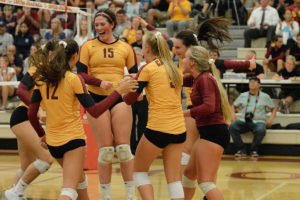 Capital breezed into the Toyota Center in Kennewick as one of many teams with a legitimate shot at winning the Class 3A state volleyball championship, and left the Tri-Cities leaving little doubt who the best team in the state was. The Cougars won their first state volleyball championship on November 11, 2017 by defeating Mercer Island, 3-1, in the championship finals, sending Meath and her five senior teammates out on the highest of notes. Capital, which lost to the Islanders in a match for the third-place trophy last year, prevailed in the rematch (25-23, 14-25, 25-16, 25-14), getting a huge performances from sophomore Maia Nichols, who was named tournament MVP, and freshman Devyn Oestreich, who added 15 kills in the championship match. Coached by Katie Turcotte, the Cougars finished the season with a record of 21-1. Meath was joined on the roster by fellow seniors Devyn Collins, Paris Crawford, Grace Grimsted, Tia Grow and Brigitte Neuville. The champion squad also featured juniors Emma Boyd, Teagan Jones, Betsy Knutson-Keller and Ashlynn McFarland; sophomores Maddie Mathews and Maia Nichols; and freshmen Madison Nichols and Devyn Oestreich. 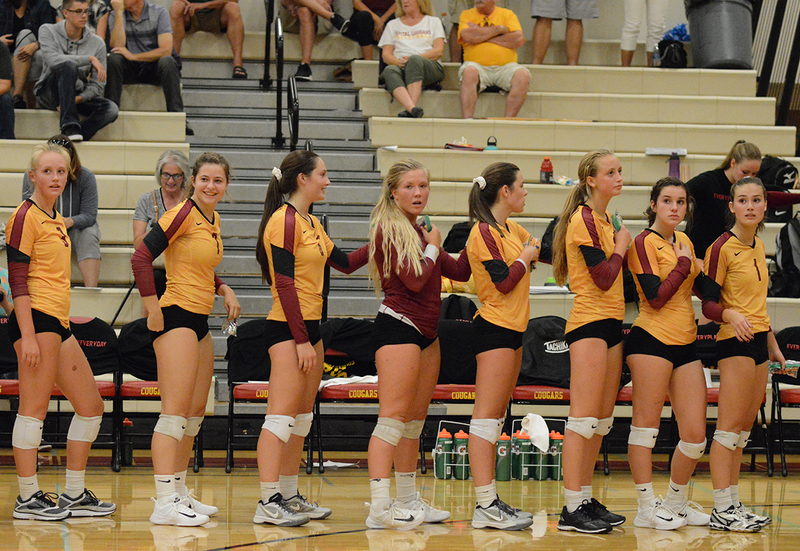 After suffering their first loss of the season on October 4, losing at Gig Harbor (3-1), the Cougars closed out the season on a tear, posting a 14-match winning streak which culminated with their victory over Mercer Island. They closed out the regular season by sweeping its final six 3A South Sound Conference opponents before carrying that momentum into the 3A West Central District/Southwest Washington tournament where Capital hammered 3A Greater Saint Helens League champion Prairie, which would eventually finished fifth at the state tournament, in the district semifinals and Gig Harbor, which claimed seventh place at state, in the district finals. 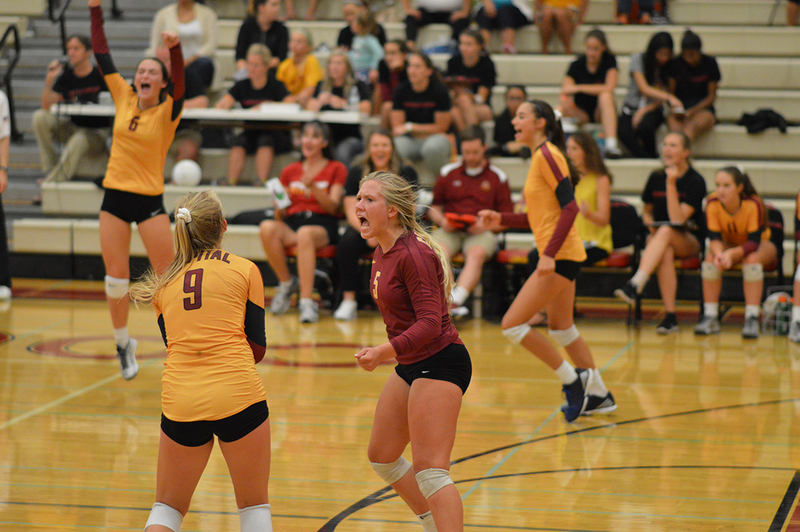 The Cougars split their first two sets against Snohomish in the opening round of the state tournament, winning the first game, 25-20, before dropping a 30-28 thriller in the second. They would put away the Panthers in four, closing out the match, 25-13, 25-11. Capital was paced offensively against Snohomish by Maia Nichols, who registered 14 kills. The Cougars also received double-digits kills from Oestreich and Madison Nichols, who finished with 11 and 10 kills, respectively, while Grow dished out 17 assists. Up next in the quarterfinals was defending champion Lakeside of Seattle, a team which bested Capital, 3-0, in last year’s semifinal before going on to defeat Mount Spokane to claim the 2016 championship. 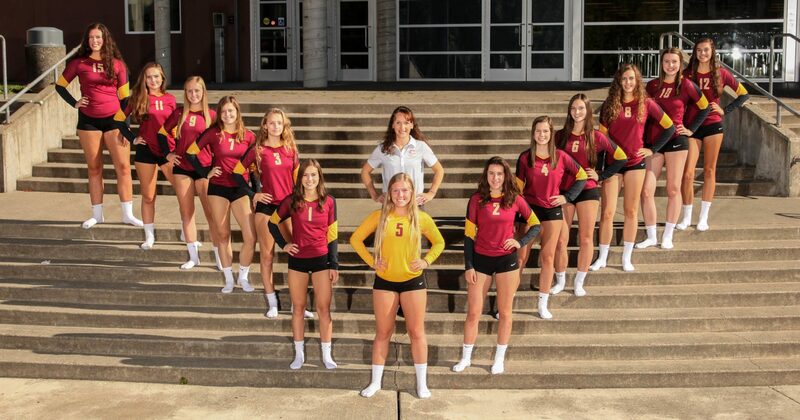 There would be no repeat as the Cougars dispensed of the Lions in four sets (25-23, 14-25, 25-16, 25-14). 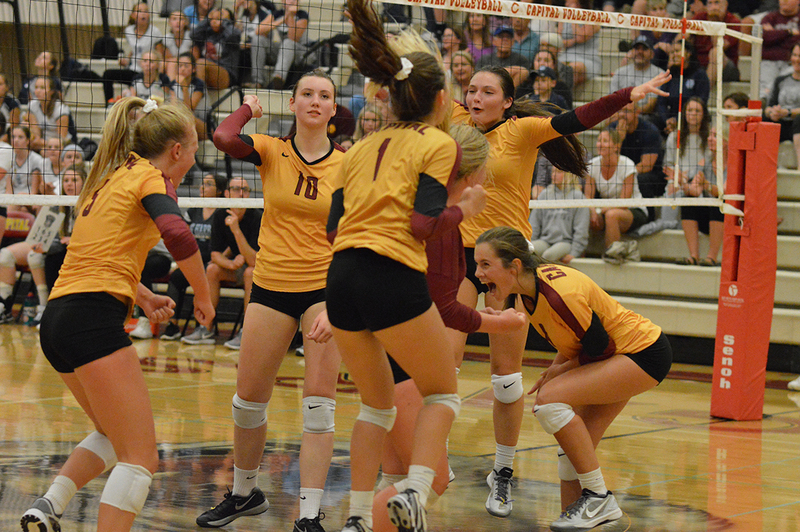 Capital simply demolished Metro League Mountain Division champion Eastside Catholic (19-6) in the semifinals, besting the Crusaders in straight sets, 25-17, 25-19, 25-22. Eastside Catholic would secure the fourth-place trophy, giving the Cougars wins over the second-, fourth-, fifth-, seventh- and eighth-place finishing teams in the state this season. This marked the fourth championship finals appearance and first victory for Capital. The Cougars were swept (3-0) by Auburn Riverside in the 3A finals in 2014 and dropped the 1994 finals in the 3A classification to Selah (2-1). The program also lost in its lone 2A title match appearance, losing 3-0 to Burlington-Edison in 2013. Over the last 10 years, Thurston County high schools have combined to win five state championships with Capital joining cross-town rival Olympia, which won the 4A crown in 2011, and Tumwater, which has claimed a trio of 2A titles since 2008, as state titlists.